What the heck happened to meatloaf, anyway? I would wager a bet that there is even a population of our younger generation who has no idea what meatloaf even is. I plan to change that today. Growing up, my mom made the best meatloaf. 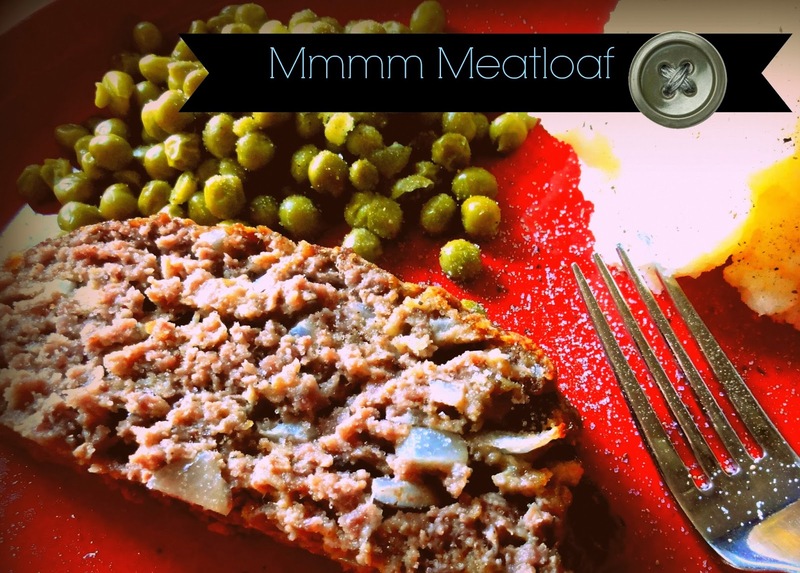 When my friends would hear “meatloaf” for dinner, they would make groaning noises. That is until they had my mom’s meatloaf. It was a definite game changer when it pertained to meat in a loaf form. Mix all of the above together with your hands. Form into a loaf pan. If you don’t have a loaf pan, you can use a casserole but just form the meat into a loaf. It will make you miss your childhood. But not your annoying neighbor. Who always teased you on the bus? Head here for more four-ingredient recipes. If you don't have a loaf pan, you can use a casserole but just form the meat into a loaf. We have "monthly meatloaf" at my parents ' house every month. My kids definitely know what meatloaf is. Yay for meatloaf! Omg! I love meatloaf! I even order it at restaurants. Rebecca- Its soo good! Ed Debevic's used to have the best meatloaf! What was it you were saying about how much we have in common? This is EXACTLY how I make meatloaf! CRAY CRAY! I think we are female soulmates. Now, I say that every single time I come here, don’t I? I must sound like a broken record. Wait–remember broken records?? According to my kids, a great deal of what comes out of my mouth is an anachronism. Anyway, my mom was not a meatloaf master like yours. Thank you for sharing your goodness. Now I’m wishing for cooler weather so that I’d actually feel like turning on the oven! I love you Richella because you have been a reader since the beginning. It means so much when you feature me!